How far can VR go in advertising? YouTube found none other than the national conventions of republican & democratic parties that are facing the US presidential elections this year as the best time to bring into fame their newest addition.These two conventions (Republic party national convention on 18-21 July in Cleveland and Democratic party national convention on 25-28 July in Philadelphia are planned to be the main launch pad for this new concept of 360 degrees video. Not to miss the opportunity, Facebook (YouTube’s close competitor) is also planning for presentation at national conventions. It is a process where the computer-generated simulation of 3D image or environment.The user wears special electronic equipment and he can interact with the environment so created. To be brief it is an artificial environment experienced by the user through his eyes & ears.Virtual reality can be used for a) simulation for training & education and b) development of a game or interactive story. Virtual Reality (which is also famous in the entertainment world as VR) is available for Android as well as Apple phones.VR can be brought by using either Oculus or Cardboard. Of course, both these are products from Google. Coming to the creation of 360-degree virtual reality videos, YouTube is offering many more facilities. The creation can be done with cameras that cost as little as $350 which is by all means much below $17,000 that would be costing to build the open source hard provided by Facebook.YouTube is also deploying 360-degree cameras to its YouTube spaces to enable creators to start playing with this new feature. Enjoying the VR is quite easy.Download the YouTube app on your mobile, find a video with Cardboard avatar and start playback then (after slotting your phone into your mobile VR headset. 2) Note on the Blindness. Yes YouTube supports uploading and playing back of 360-degree spherical videos on computers in Chrome, IE, Opera & Firefox browsers.Uploading is as easy as 1-2-3. 1) Create the video using Ricoh Theta/Kodak SP360/IC Real Tech Allie 360 cameras at high resolution (to meet YouTube’s advanced specifications).Alternatively, if you want to use custom camera rigs you need to use third party stitching software such as Kolor Autopano. 2) Prepare for upload the video by including certain metadata using a Python script. 3) Upload the file after verifying that the video file has 360-degree playback enabled. This verification is done by watching the video on your PC and takes up to an hour for 360-degree playback to be available. YouTube has been adding newer features to enable its users to have advanced levels of entertainment and no doubt the latest addition i.e.,360-degree virtual reality videos will be one of the next big things for this already popular channel. Virtual reality is receiving heavy interest from every major brand which wants to use it for their advertising. Virtual Reality Video Advertising complete guide has been specified below to explore the brand. These are very popular with the tech industry and are slowing gaining popularity from all major car brands. The brands that already launched their ad campaign with 360° or virtual reality video are the Audi, Volvo, Jaguar etc. Three six degree video or virtual reality is no more a science fiction but is a reality. 360° video and virtual reality are not the same and VR further, add depth to the three sixty degrees experience. The images in these advertisements are three dimensional and can be enjoyed with VR headsets. What is actually virtual reality? The display is experiencing with VR headset that covers the entire vision. The user can immerse in a 3D world generated by the computers. If the head of the user moves, the technology tracks the movements and the display is updated accordingly. This tricks the brain into thinking that the user is in the real place. Brands that create the virtual reality advertising may want more viewers to experience it outside YouTube or Facebook. They can create banner ads that play 360-degree videos. These banner ads are of two types and these are 360° Display Ads and 360° Pre-Roll Ads. There are many three sixty degree or virtual reality ad platforms online and we will learn about them now. VirtualSKY is a VR platform and creates ads for its customers with immersive 360-degree advertisements. These can be enjoyed on virtual reality headsets as well as the smartphones. It transforms the digital ads into real experiences and helps the brands to build following and earn shares. Immersv VR is a virtual reality ad platform.This is one of the leading mobile VR ad networks. They help create the ads and the most experienced team to help drive Mobile VR market to consumer adoption. Vertebrae is a VR ad platform that wants to make the VR technology accessible by advertisers, consumers, and publishers. Their technology allows insertion of native 3D and three sixty video ads.They have a team of creative professional and or passionately involved in VR advertising. 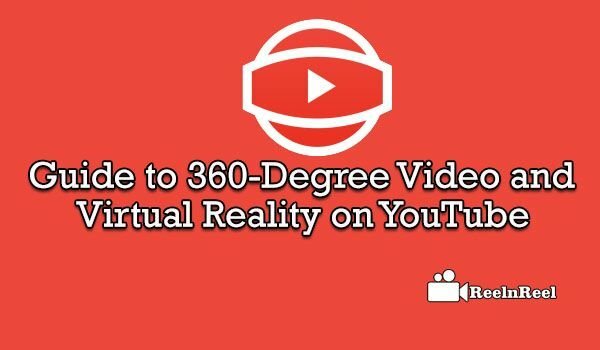 Three sixty degree or virtual reality video advertising is selling the experience and this has become a crucial part of the success. This is particularly popular with hospitality, transportation, travel and other segments. The VR ads allow the consumers to explore the experience in a new way before they take any purchase decision. Though there are some teething problems, the technology is here to stay. It is expected that it will be more popular by the year 2020. It is going to the main way in which consumers experience the world and brands communicate with the people. VR has more than 43 million active users in the world and according to some studies, by 2018, 171 million people are going to have the VR headsets. This opens lots of opportunities for marketers to create VR video ads. VR has main selling points that will increase the longevity of it.Three sixty degree or VR video ads are immersive. VR lets the users feel that they are in another location and so VR video ads are memorable. They give an intense experience to the viewers. And finally, VR ads are novel and are sure to last a long time. Why Snapchat is a Future of TV?